There's an ancient ginkgo tree located in Jinshi town, the north end of Xiangxiang, Hunan province, which is now a rural tourism signboard. A cold wave recently swept Xiangxiang, Hunan province, bringing some magnificent winter views. 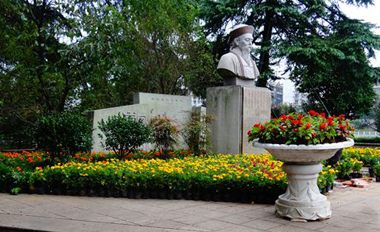 Ever since Xiangxiang developed the event of creating civilized city, various measures such as setting billboards and volunteer service points and carrying on 24 hours urban sanitation have been carried out in the city. A total of 298,000 tourists visited Xiangxiang, Hunan province during the weeklong National Day holiday, up 9.6 percent compared to the same period last year, according to local media reports on Oct 8. 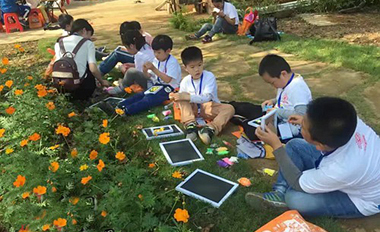 Longcheng association for volunteer in Xiangxiang organized a three-day summer camp of visiting the Hunan Science and Technology Museum in Changsha, Hunan province, for the leftover children in the city on Aug 13. A total of 15 leftover children from Xiangxiang, Hunan province came to Xiangxiang campus of Sci-Tech Edu, the first science and technology training institution, to start their one-month study on July 31. The "summer of Yanjing" beer festival commenced at Jiangwan square in Xiangxiang, Hunan province on July 28, and will last for three days. The Dongjiao agricultural demonstration zone includes nine villages, Daqiao, Shizhu, Changfeng, Sanxiang, Huating, Xuzhou, Hengzhou, Wangxing and Yangshu, covering 57,000 mu (about 38 square kilometers). With the guidance of the Xiangxiang migration bureau, Qizi town of Xiangxiang's Shuifu demonstration area has developed a distinctive fruit industry over the years, forming a "four-season orchard". The Shuifu Country Music Festival, hosted by the People's Government of Xiangxiang, opened in Shuifu demonstration area, Xiangxiang, Hunan province on May 26 to 27. Located in Xiangxiang, Hunan province, Maohu is a typical water town with an area of 146.67 hectares, of which 113.33 are natural lakes. Xiangtan's spring rural tourism festival kicked off in Jinshi town, Xiangxiang, Hunan province on March 21. Photos taken on March 20, 2018, shows that spring is in the air in Xiangxiang, Hunan province, as peach blossoms cover Fanjiang town in a blanket of vibrant pink. Residents come to the People's Park in Xiangxiang, Hunan province, to see plum blossoms on Feb 26, 2018. Plum blossoms are in full bloom in the park in February. Citizens came to Gonglue Village, Sha Town, Xiangxiang, Hunan province, to see rime scenery on January 7, 2018. Hunan's Xiangxiang established a fitness service center in the municipal gymnasium on January 10, pushing forward the city's national fitness development. Xiangxiang city has built a new public library to enrich the city's cultural associations. This latest addition to the city will open within the next few days, local media reported. Chu Suiliang Memorial, built to commemorate the well-known calligrapher Chu Suiliang (596-658 or 659) from the Tang Dynasty (618-907), opened in Xiangxiang, Hunan province, on Dec 8, after a two-year renovation project. Xiangxiang has seen rapid achievements since implementing its "Beautiful Xiangxiang" initiative aimed at balancing urban and rural development and attracting investments in the countryside. During the Chinese National Day Holiday (Oct 1-7), a total of 101,200 tourists visited the Shuifu Demonstration Area in Xiangxiang city, Hunan province, an increase of 23 percent compared with the same period of the previous year. 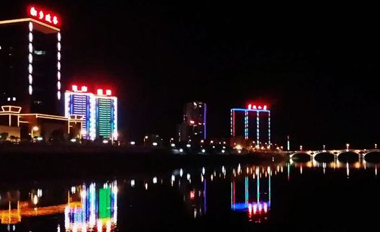 Nights during the National Day Holiday (Oct 1-7) will see the city of Xiangxiang decorated with 16,000 street lights, including colorful lights, red Chinese knots and red lanterns, as seen at Xiangxiang Bridge, Zhenxiang Bridge and Dongshan Bridge. To celebrate the National Day Holiday (Oct 1 to 7), Xiangxiang city prepared 70,000 flower pots to decorate the whole city. They were scattered throughout parks, squares and the city streets. 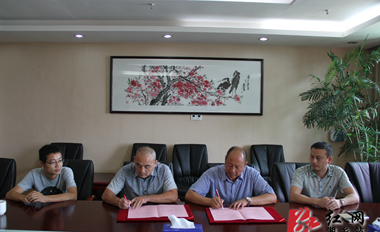 Wang Jianguo, deputy secretary of the Party working committee of the Xiangxiang Economic Development Zone, and Shi Yueliang, general manager of Fujian Kangshun Recreational Investment Co, negotiated for the park and signed an agreement.